At the 2017 Canadian Swimming Trials in Victoria, Smith qualified for her second FINA World Championships by winning the 200-m breaststroke and adding silver in the 100-m breast. She also was selected to represent Canada at the 2017 FISU Universiade in Taipei. At the 13th FINA World Swimming Championships (25-m) in Windsor, Ont. Smith competed in three individual events. She made the finals of the 200-m breaststroke where she finished 5th. She also made the semifinals of the 100-m breaststroke where she finished 12th and finally finished 28th in the 50-m breaststroke, both in personal best times. At her first Olympic Games, Smith swam in both the 100-m and 200-m breaststroke. Smith made her first Olympic final in the 200-m breaststroke where she finished 7th. In the 100-m breaststroke Smith finished 19th. During the 2016 Mare Nostrum Tour, Smith took part in both the Monte-Carlo and Canet-En-Roussillon stops. In Monte-Carlo, she won gold medals in both the 100-m and 200-m breaststroke. At the 2016 Canadian Olympic & Para-Swimming Trials, Smith emerged victorious in both the 100-m and 200-m breaststroke to secure her spot on the Olympic team. At the Toronto 2015 Pan Am Games, Smith earned herself a gold medal and a new Pan Am Games record after an impressive 200-m breaststroke swim. She got to celebrate on the podium with teammate Martha McCabe as they finished 1-2. At the 2015 FINA World Championships in Kazan, Russia, Smith raced to a eighth-place finish and set a new personal best in the 200-m breaststroke. 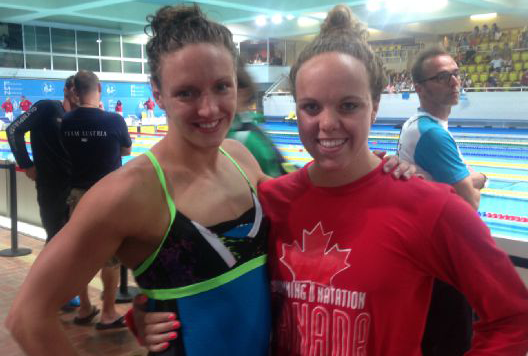 At Team Canada Trials, Smith initially won the 200-m breaststroke but was disqualified due to a stroke violation. She came back strong a day later to finish a close second to Rachel Nicol in the 100-m breaststroke and meet the standards to earn a berth on both the Pan Am Games and FINA World Championships teams. Smith won the gold medal in the 200-yard breaststroke at the 2015 NCAA Championships with the third-fastest time ever at the event. 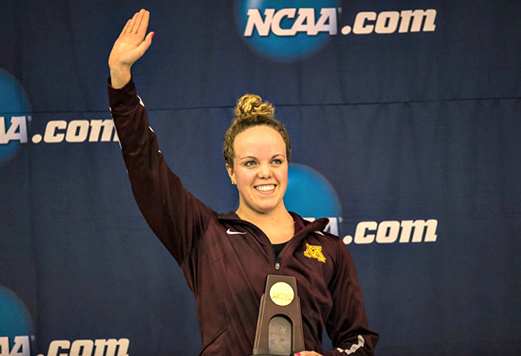 She also helped the University of Minnesota claim its fourth straight Big Ten title with her double gold in 100- and 200-yard breaststroke at the conference championships. She got her first taste of senior international success by swimming the heats of the 4×100-m medley relay to contribute to a bronze medal for Canada at the 2014 Commonwealth Games. Individually she finished fourth in the 200-m breaststroke and seventh in the 100, setting personal bests in both events. to a medley relay bronze. She also set a new personal best with a fourth-place finish in the 200-m breaststroke and matched her personal best for a seventh-place finish in the 100. Comes from a family of runners. Parents Andrew and Jo-ann run marathons and younger brother Emmet runs cross-country.